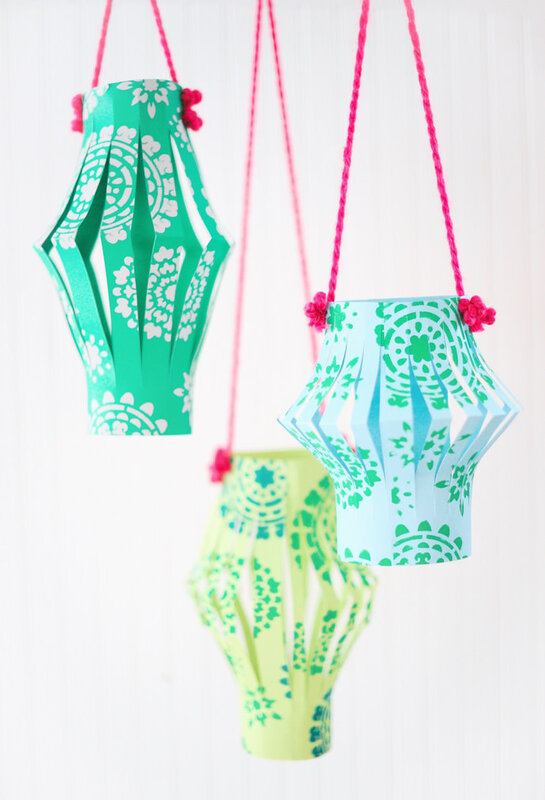 If you asked my kids what I did over the holidays they would all bust into laughter and shout “she made paper lanterns for weeks!” It’s true. I did. I just loved how quickly they came together and how beautiful they looked hung all around my house. I get on kicks like we crafters so often do and decided to share it with you. Oh that rhymed! 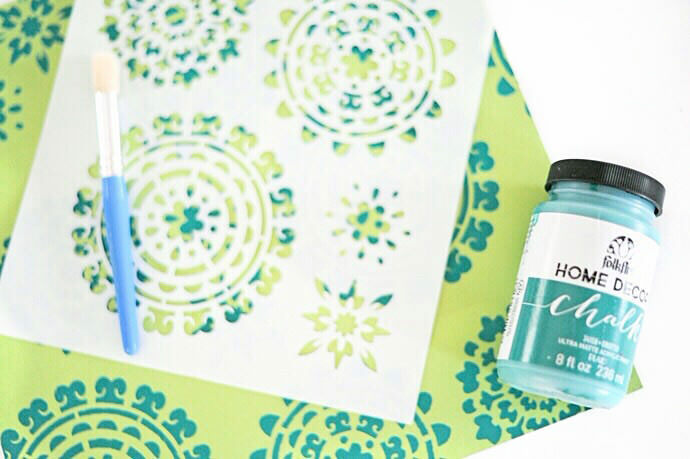 Follow along as we continue our new Make-Along series with FolkArt Handmade Charlotte stencils. Select your favorite color paper. Green and blue were calling my name. 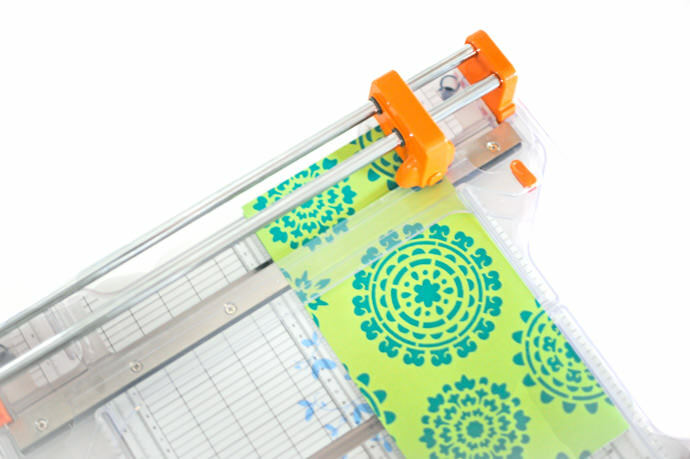 Then choose a FolkArt Handmade Charlotte stencil pattern to personalize your project and add a little extra awesome. 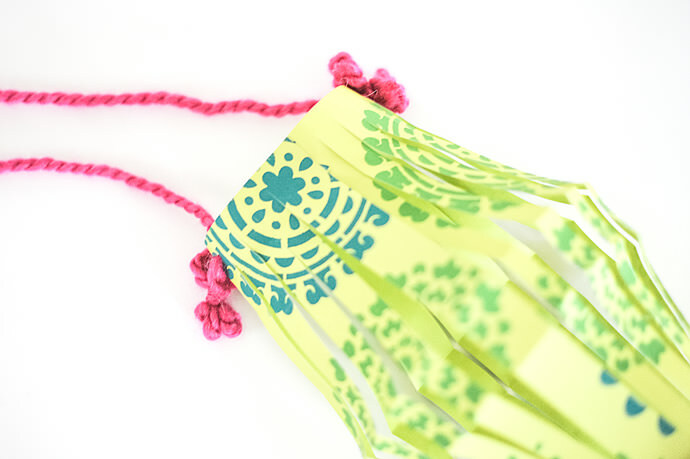 Grab a FolkArt Home Decor Chalk in the complimenting color of your choice — there are dozens to choose from! (If you keep up with us at all, you clearly know that this paint has us over the moon.) 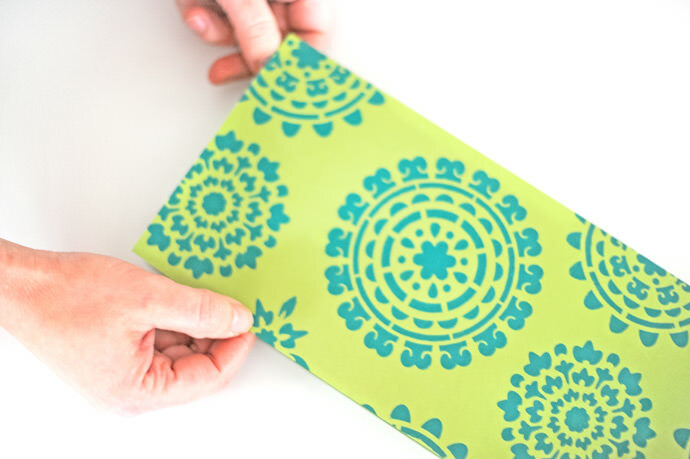 Place your stencil over the paper and keep it in place with painters tape. Use a Plaid stencil brush to start applying the paint. Repeat the pattern until you’ve covered the entire piece of paper. Let all of this dry (it should take around 5 minutes per stenciled sheet). Now, fold the paper in half lengthwise. 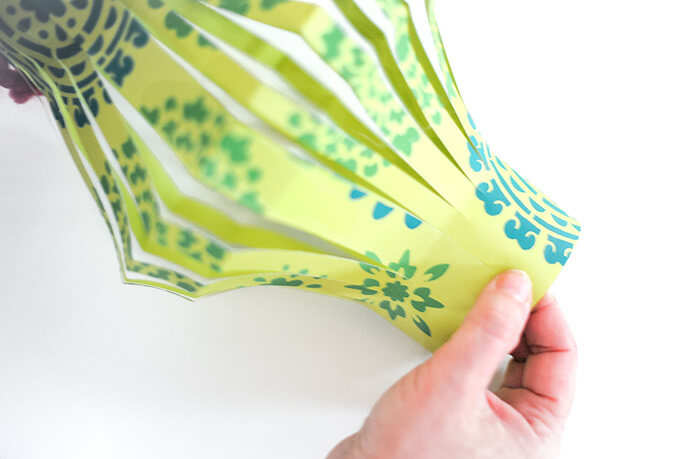 Using scissors or a paper trimmer (we used a heavy duty trimmer by Fiskars for accuracy and precision), make 1-inch cuts into the fold of the paper. Once you’ve made the cuts, wrap and connect the opposite ends of the paper. We used Mod Podge to glue the ends together (because we use it for everything), but simple craft glue or double-sided tape would also work. 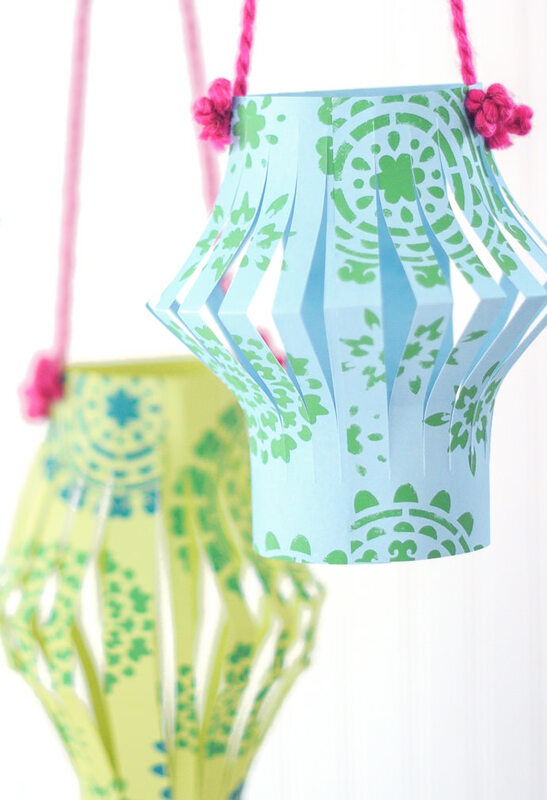 Punch holes on opposite sides of the lantern and string your yarn through, making tiny bows on the outside of the lantern. The first lantern will take a little while, but after that you’ll have an entire gang of them in no time. Take pictures of your finished work, we’d love to see what you make!